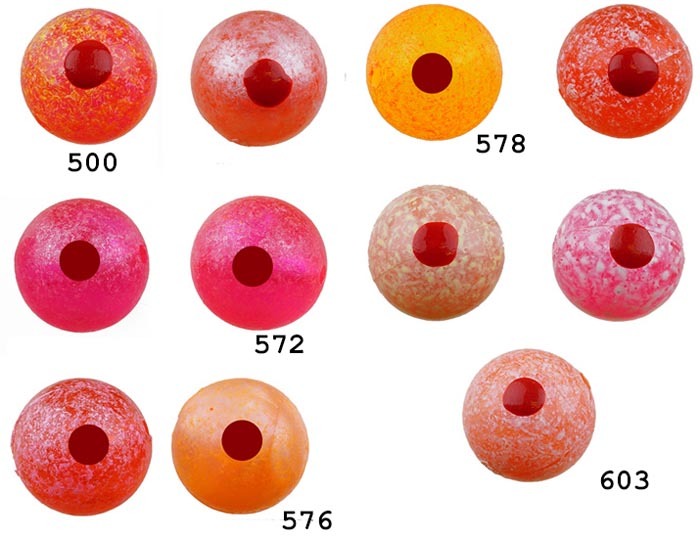 B - UV2 Fusion Blood Drop Egg Beads ! 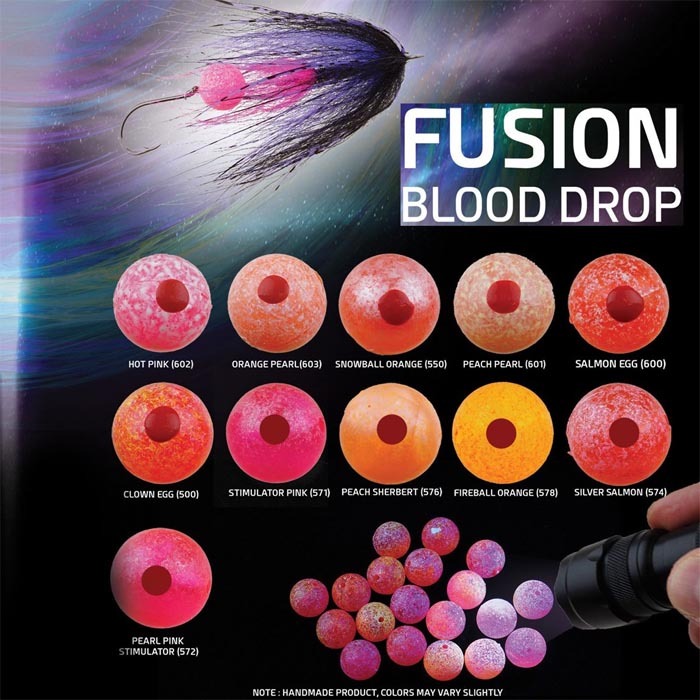 UV2 Fusion Blood Drop Egg Beads feature a fusion of color and are the most effective bead available. These are lethal for winter steelhead fishing and trout angling. Each bead is coated with strong UVR/UVF properties and then covered in a mottled color. Then, each bead is hand-dotted with a red dot that gives the bead a life-like egg look that is very effective.